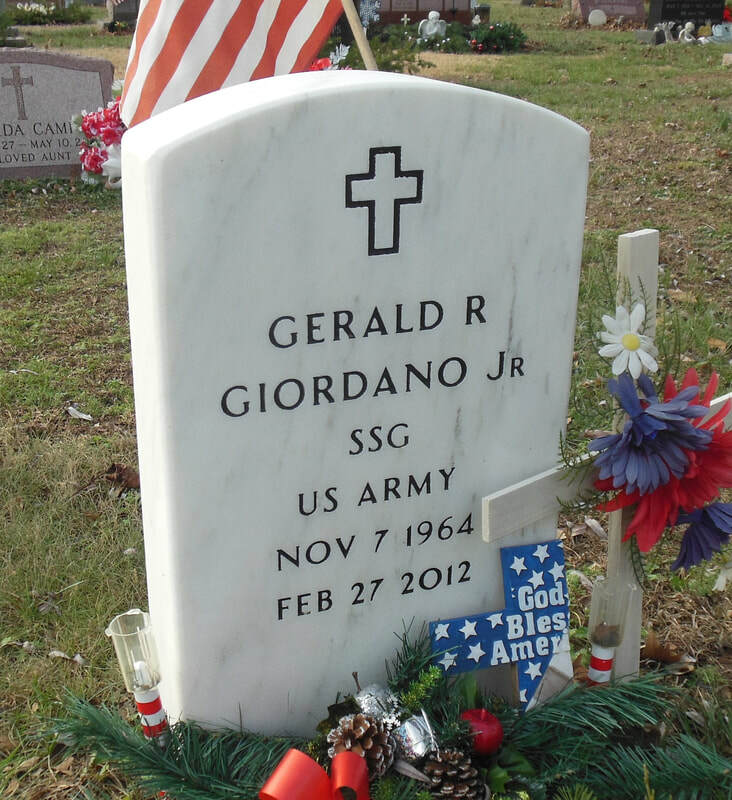 United States Army Staff Sergeant Gerald Giordano Jr. passed away this past 27th of February, 2012 in his home town of Vineland, New Jersey, with his wife Cyndi Giordano by his side. 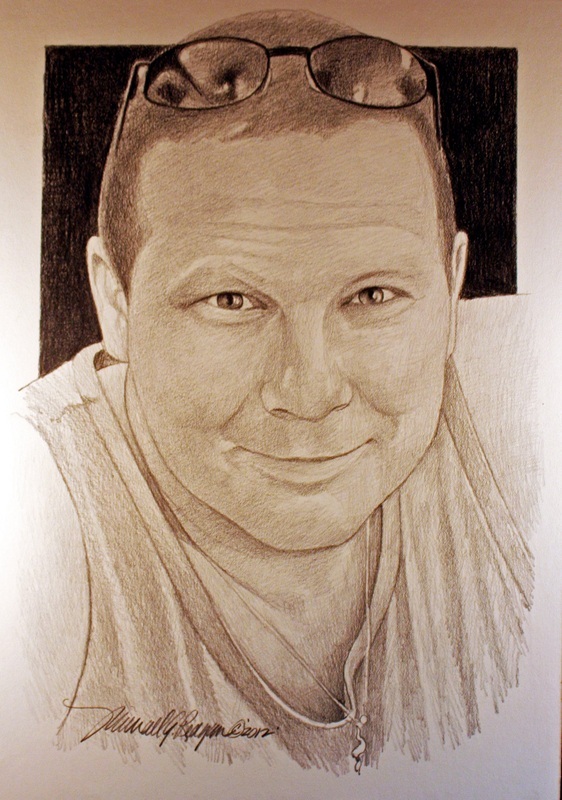 He served courageously and bravely as a medic at Fort Bliss, Texas. 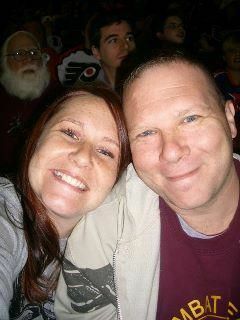 His loving, respecting, and caring personality will be remembered by all he knew and met. 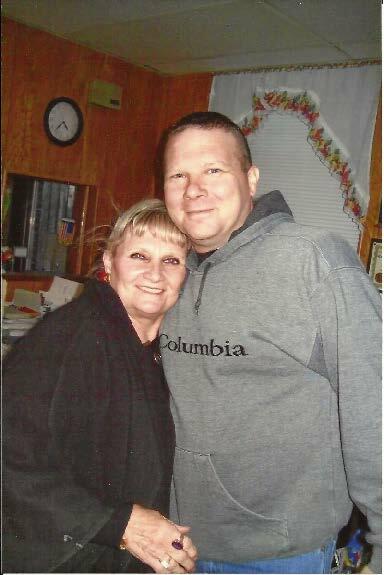 Giordano left behind a family who did and will continue to unconditionally love and care him for each day: His wife Cynthia S. Giordano, his daughter Heather R. Burch, his two stepsons Nikki L. Van Scoy and Matthew F. Wright, and his parents Gerald and Pearl Giordano. Giordano also left behind a loving extended family: his grandmothers Pearl Walsh and Louise Giordano, his uncle Tom Emerson, his father-in-law Emil C. Zorn, his wife Suzanne Zorn, his mother-in-law Gail Kroelinger, and her husband Phillip Kroelinger. Giordano left behind his courageous and patriotic fellow soldiers, who continue to protect and serve our country each and every day. Giordano’s courageous acts will not be forgotten. His will and strive to protect our freedom is to be much respected and admired. He passed fighting for our country, and we will forever be in debt to him. His determination to serve our country, although the US Army insisted that he was too old, is a characteristic that is to be remembered. 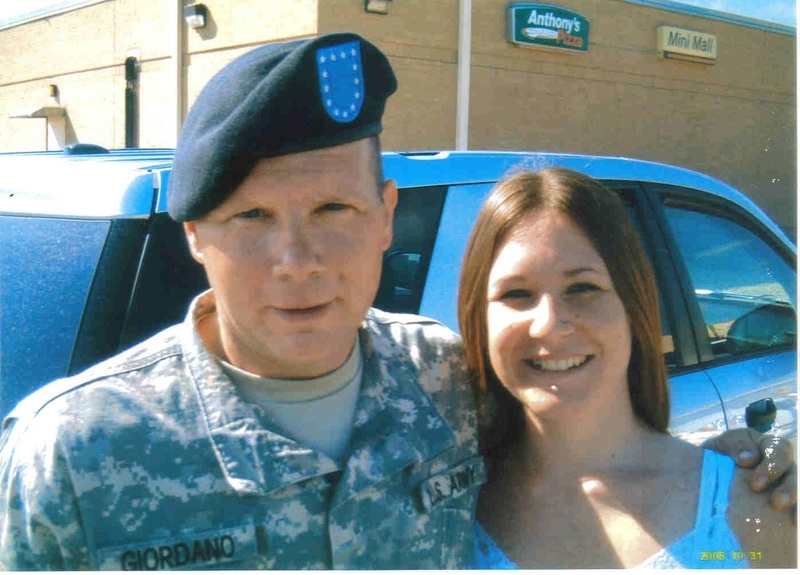 Giordano surpassed the normal sergeant; he stands out as heroic medic who would do whatever it took to protect our country. Giordano mentored and advised other men and women to learn from his experiences and help their communities as well. His knowledge and advice will be passed on, with the hope that it makes the same differences as it did for Giordano. Although he was not on the front line, Giordano’s work will have an equal, if not a greater impact. To his family members, his fellow veterans and soldiers, and to all that knew him, US Army Staff Sergeant Gerald Giordano Jr. will not be forgotten. He has left behind a legacy that should be imitated and admired. He was a role model to all that he knew, and his unique and respected characteristics made him the perfect man to serve and protect our country.